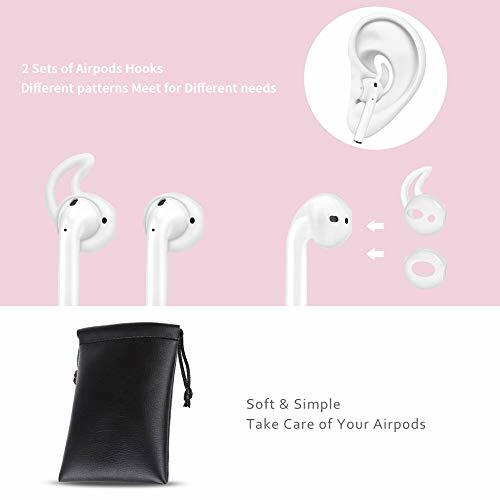 ✿ No need to bother with taking out the aipods from the the airpods case to charge, directly charge without any ionterfere is his advantage. ✿ Defend both your Apple AirPods and the charging case they come in from daily wear and tear, and look great doing it. ✿ Selected high quality ecological silicone ear hooks will free you from worrying or angrying about Apple Airpods falling out of your ear. 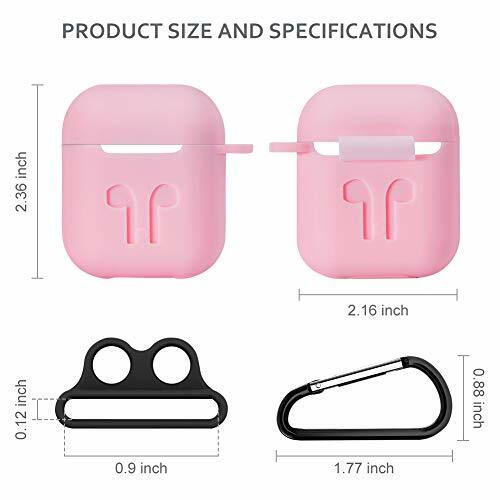 ✿ It is very soft and comfortable and economic designed to 2 different size,only 0.5mm to meet your requirement and enjoyment. 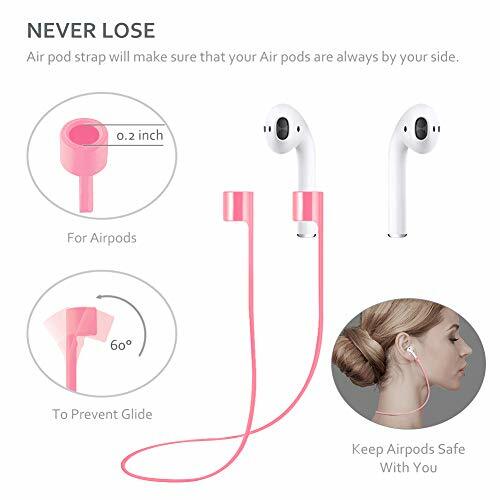 ✿ This anti-lost strap helps a lot in your daily commuting, walking, running, sports,business ect. 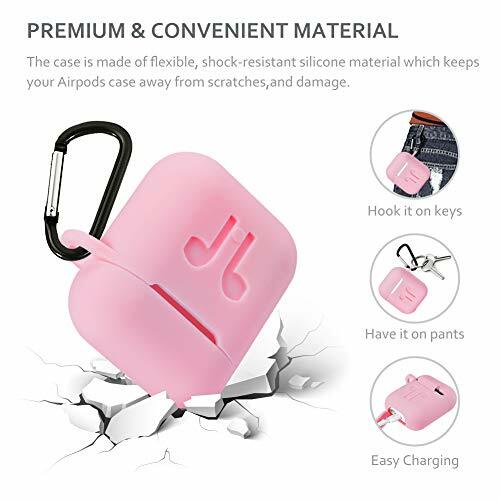 ✿ Portable keychain case comes with a locking carabiner ,convenient to carry and looks elegant on your airpods. 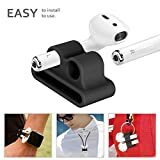 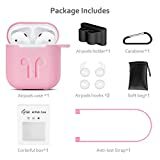 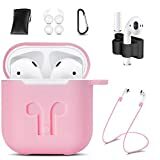 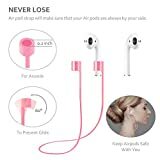 ✿ Carrying your AirPods, ear hooks, anti-lost straps and other small accessories. 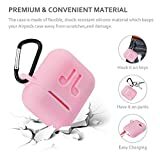 ✿ Perfect portable storage case can be put anywhere, convenient to open and close by zipper enclosure. 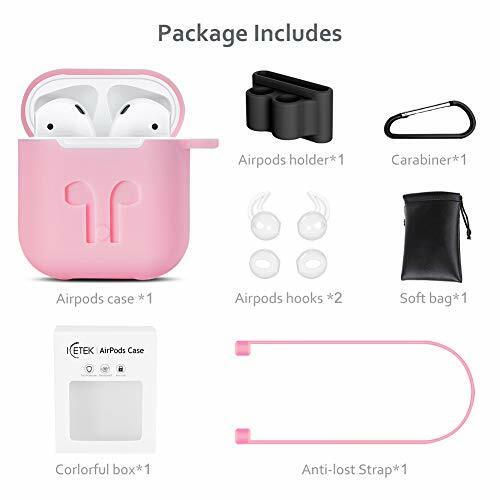 30-Day Money Back or Replacement Guarantee & 12 months for quality warranty.